What makes our packages so affordable and what exactly are you receiving for your money? 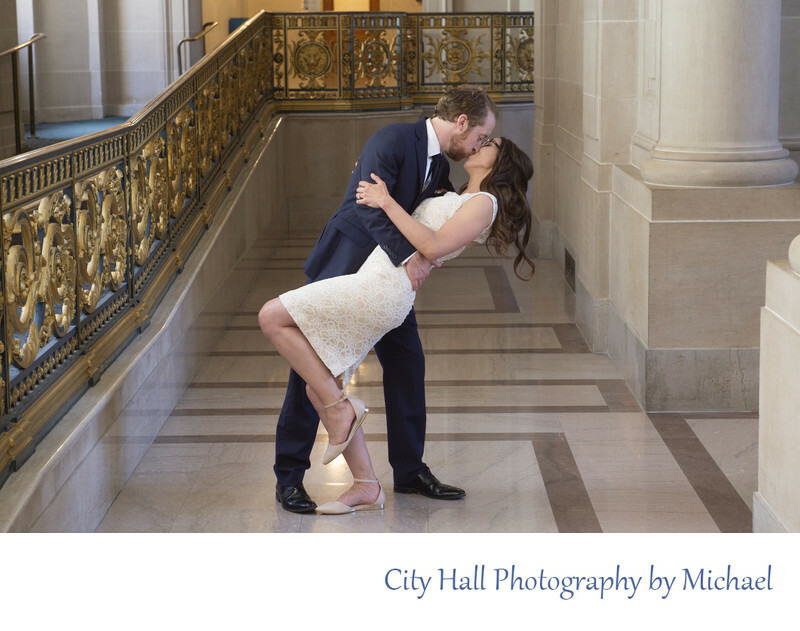 One of the truly amazing aspects of booking us or a comparable San Francisco city hall wedding photographer is the quality you receive for your money. Most of primary wedding photographers at this venue also do full scale weddings, including us. We charge up $5,000 for our full weekend packages and for that amount of money you receive full day coverage and a nice Wedding Album. We are an award winning professional wedding photographer with over 1,200 weddings to our credit. What if I told you that you could book us or a comparable photographer for 20% of what we normally charge. I am not saying 20% off, I am saying just a fraction of the cost. 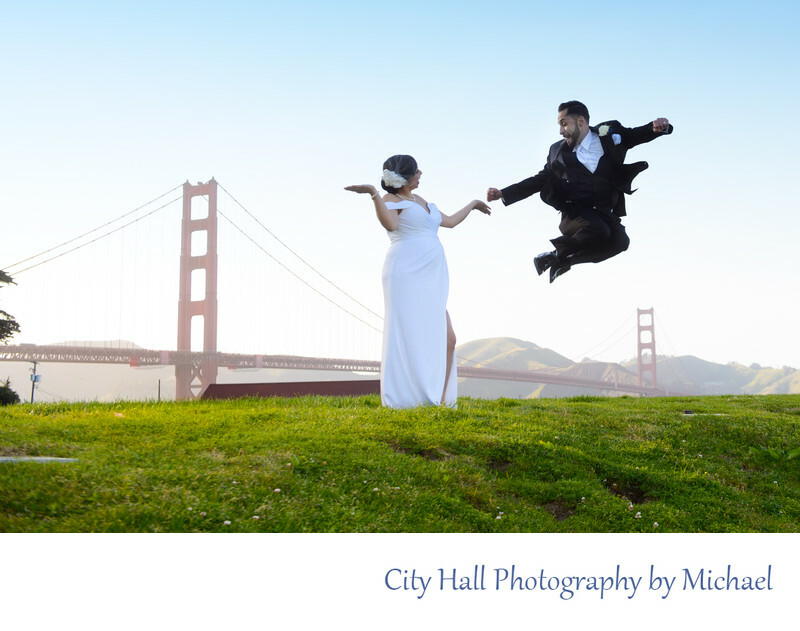 Well, that is pretty much what you are doing when you book some of the top notch city hall wedding photographers. Our city hall affordable packages start at $595 and the average amount spent is about $750! You are receiving the same quality, the same professionalism and the same experience for so much less money! Now you might be thinking, OK it cost less but I probably get less too. Not even close! You actually get more, because the very nature of city hall weddings lends itself to easy and convenient wedding photography. Also our packages are designed to provide you with plenty of time in the building after the ceremony to take pictures. With big weddings you seldom receive more than about 20 minutes of shooting time with the bride and groom alone. This is mostly due to all of the events at a large wedding. Time has to be spent on cake cutting, dancing, special events and of course, dinner. Obviously, these are all very important aspects of a typical wedding, but none of these are present at a city hall marriage. So you basically get more pictures for less dollars. What could be better? For more details on these inexpensive packages, please click the link and check them out!